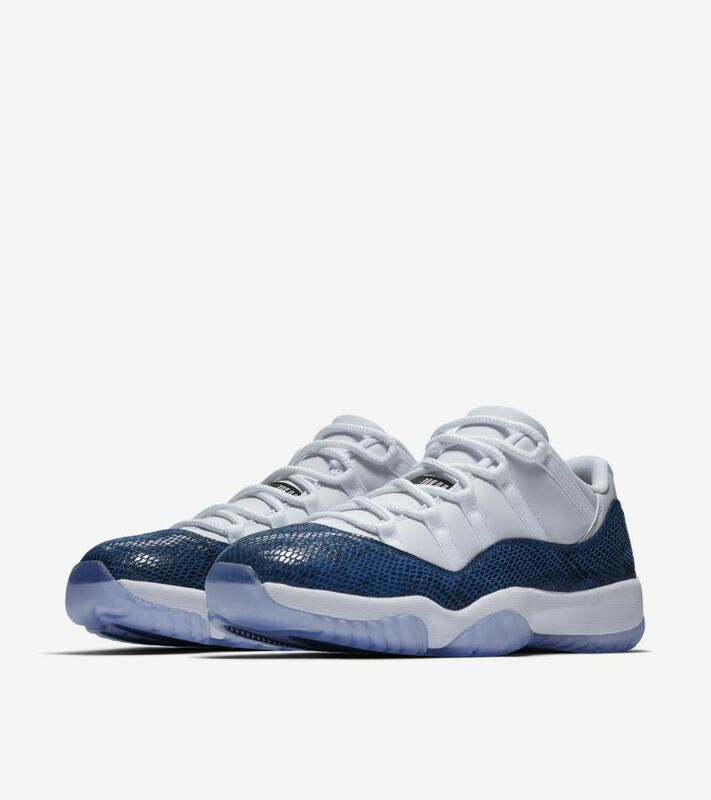 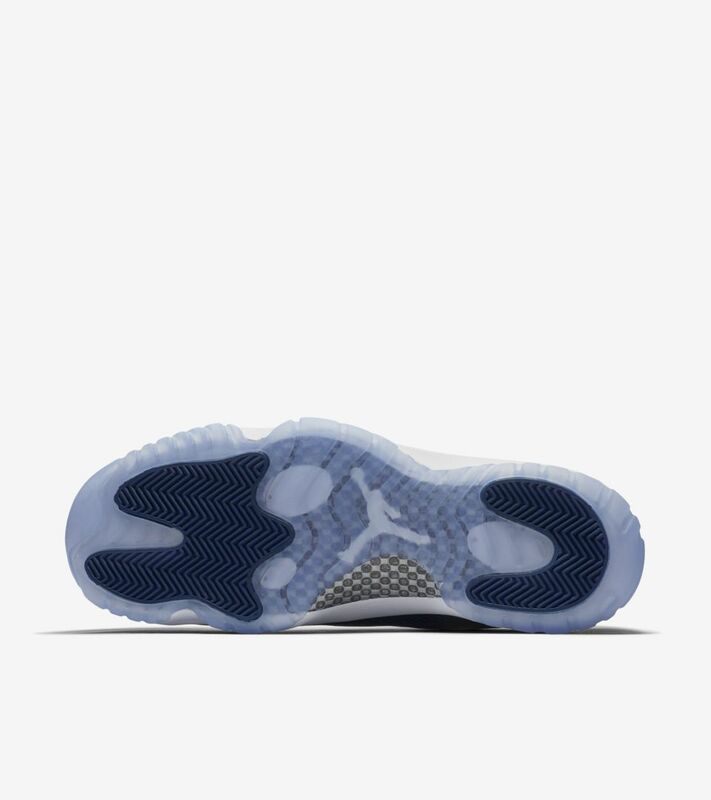 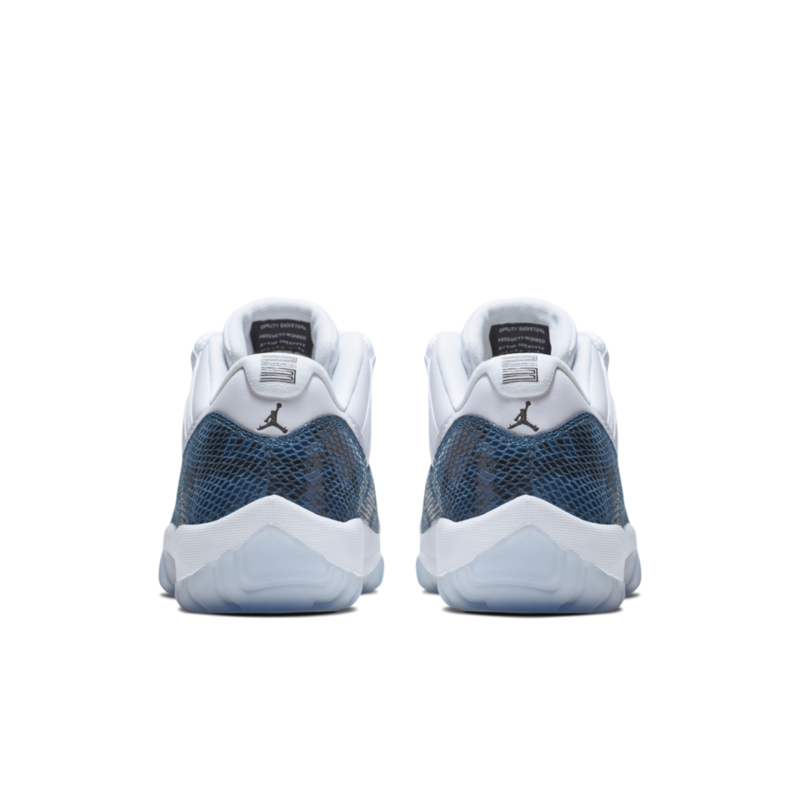 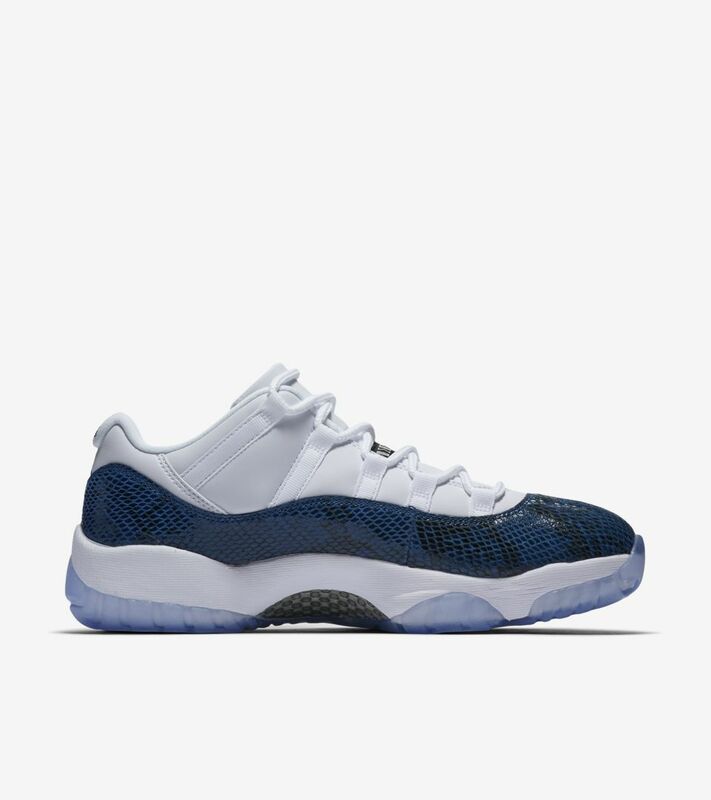 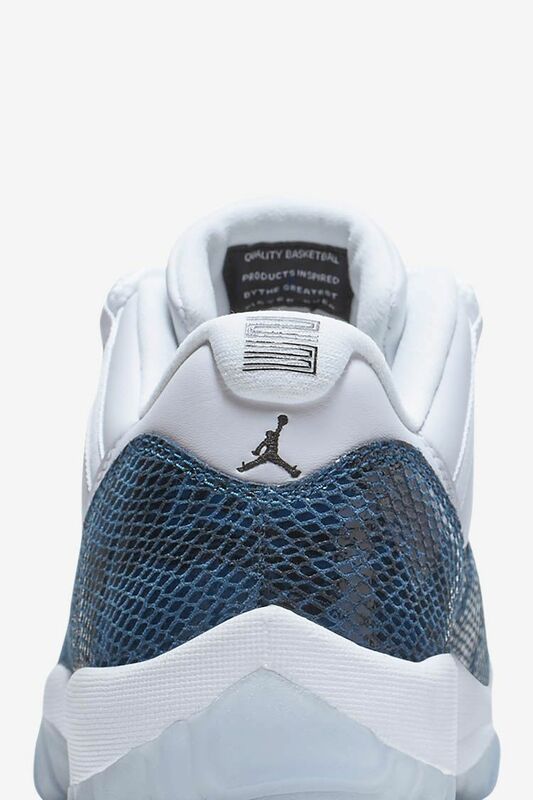 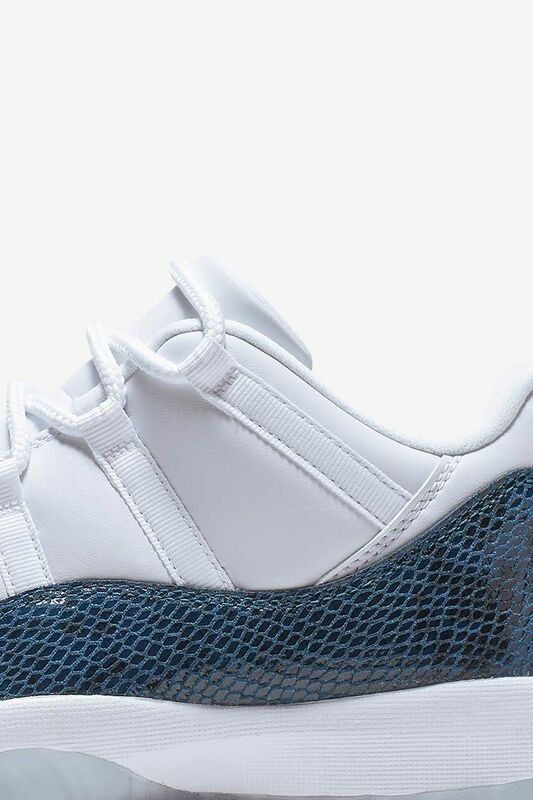 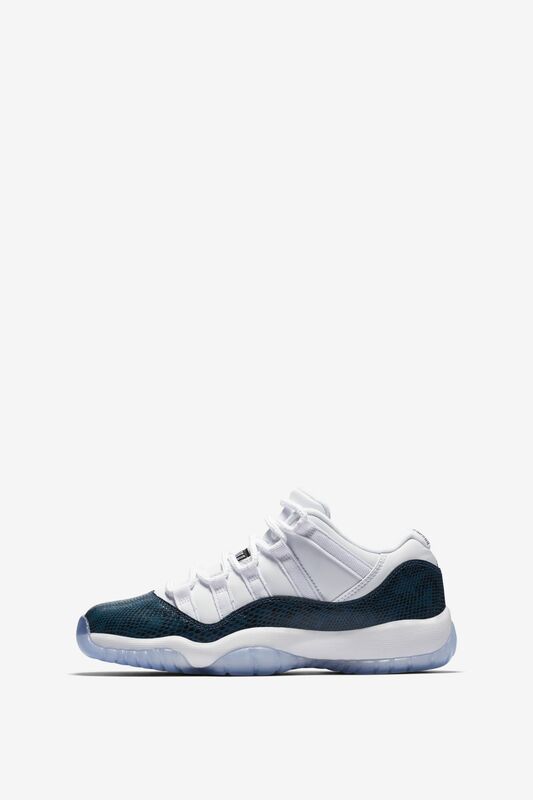 Continuing to celebrate the 23-year anniversary for the Air Jordan XI, OG Navy Blue snakeskin returns to the silhouette for the first time ever. 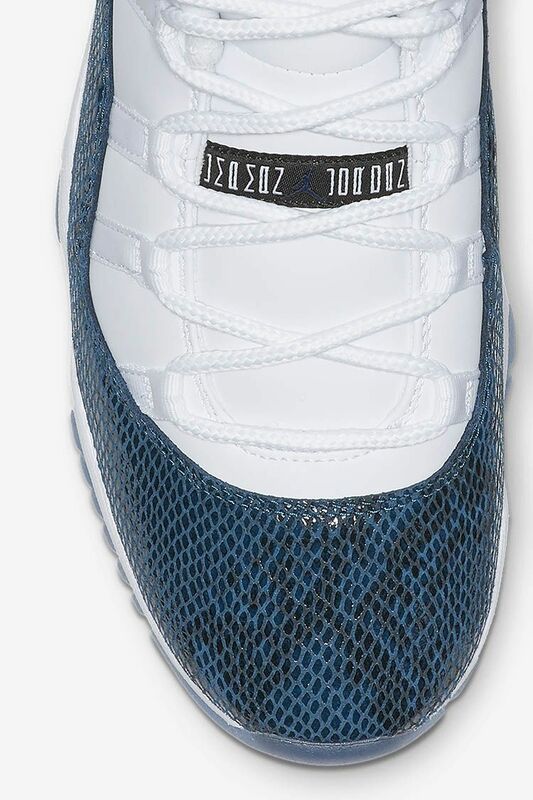 The colourway is a near-exact replica of the 2001 original, with snakeskin material replacing patent leather on the luxury-inspired upper. 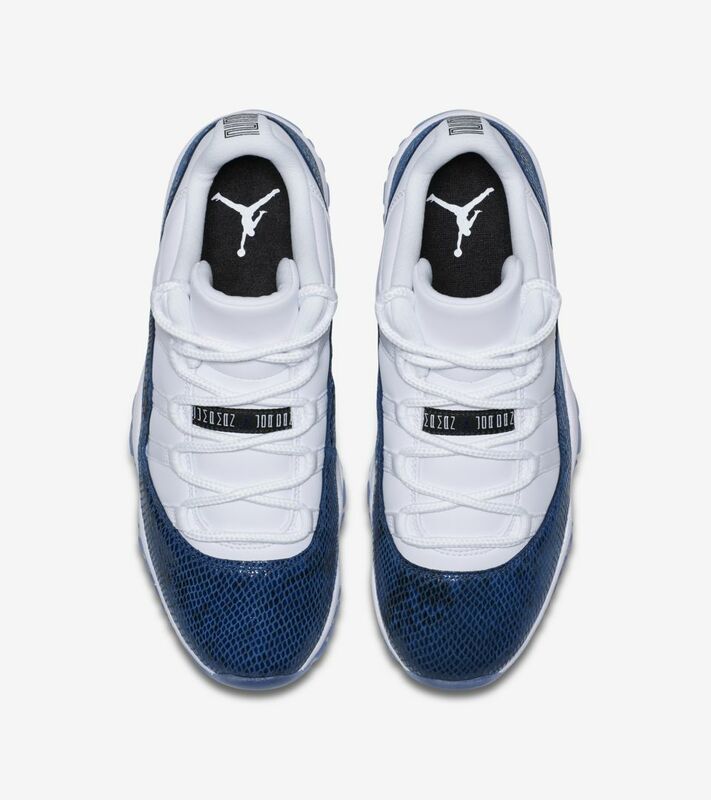 Since his game-winning shot that brought championship glory to North Carolina, Michael Jordan has been at the forefront of basketball consciousness. 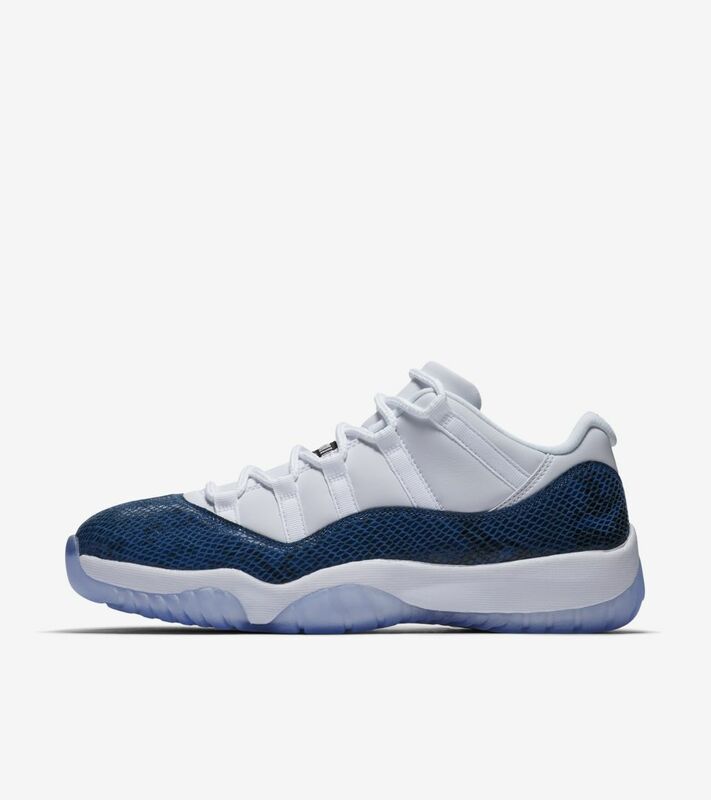 He took to the court in 1985 wearing the original Air Jordan I, simultaneously breaking league rules and his opponents' will while capturing the imagination of fans worldwide.